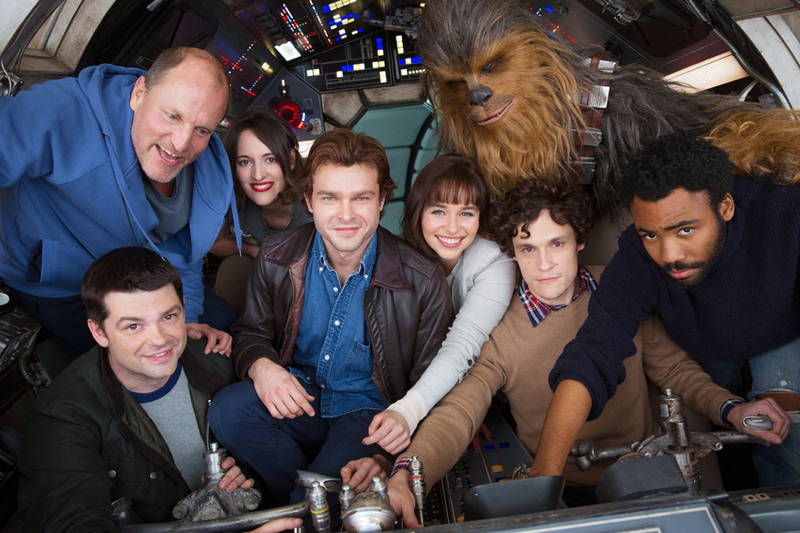 The need for reshoots after Han Solo - A New Star Wars Story lost the original directors has cost one star his part in the film. Variety has learned from sources that The Night Of actor Michael K. Williams' role has been cut from the final film. Michael had already shot his scenes under the direction of the film's original directors, Phil Lord and Chris Miller. When they left and the director's chair was taken up by Ron Howard, reshoots needed to be done. Unfortunately, Michael had already committed to and booked another film -- The Red Sea Diving Resort -- after completing what he thought were his final scenes for the Han Solo film. The Emmy-nominated actor could not return to shoot his new material and his character was subsequently cut from the film. While a lot of the details about the plot and characters of Han Solo - A New Star Wars Story remain tightly under wraps, Michael did say in a previous interview with Deadline Hollywood that he would be playing a half-human, half-animal character. So whoever directed this so-called movie in the beginning obviously did a lousy job. So much that Ron Howard had to step in and redo everything over again really tells you and I often wonder if this movie is ever going to get big bucks in the theatres? Why not just create a cgi double of the original actor involved...? Don't underestimate Ron Howard. He is an exceptional person and director. I am interested to see his take on this movie. Well Howard has alot of award winning films under his belt but, no idea why George Lucas sold the franchise to Disney and began whining about what they are doing to it now.Could not have cared that much if money was all that motivated him to sell.Disney is about merchandising and will pimp every character it can for a movie or something to sell toys and video games.Shame because we all see the life story of Jar Jar Binks hitting the big scene that that is just a horrible idea period.